The term "customer participation" is sometimes used interchangeably with "customer engagement," but to do so misses the mark on why the former is so much more than the latter. What Is Customer Participation Anyway? The best way to understand customer participation is to see it as a higher level of customer engagement. Customer engagement is an umbrella term for any type of communication between a business and its customer, and there are differing degrees of engagement. Some tactics, such as connecting with brand fans on social media or via e-newsletters, fall into the lower level of engagement, because they tend to be episodic and superficial. Customer participation falls into the high-touch end of the spectrum, because it fosters ongoing collaboration and communication between the customer and the brand. Participation is more than feedback and collecting insights/survey data. It's about actively involving customers in important aspects of the brand and business—from innovation to marketing. Customer participation encourages brand loyalty because it makes your customers feel that their opinions are valued and that they are invested in the growth of your brand. What Does GDPR Have to Do With It? 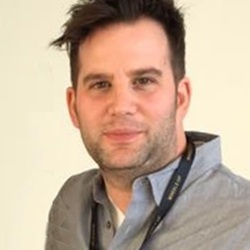 David Gardner is VP of marketing at Chaordix, a leader in customer-driven innovation and co-creation software, working with diverse global brands.